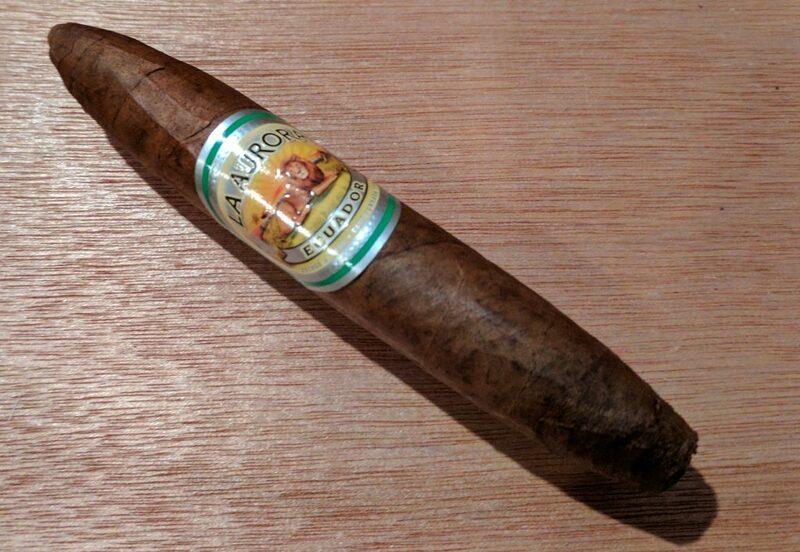 La Aurora’s super-premium Preferidos line doesn’t seem to have the luster it once did. (For example, I bought this single from a well-known internet retailer for under $5.) That doesn’t mean it isn’t a well-made cigar. The small, 5-inch perfecto has a ring gauge of 54 at its widest point. It features a slightly mottled Habano sun-grown wrapper from Ecuador with a Dominican binder and filler from the Dominican Republic, Cameroon, and Brazil. The cigar’s bold flavors include leather, cedar, coffee, and tannic notes. If you can find it for around $5, like I did, it is well worth it.